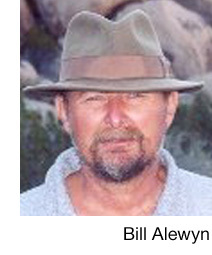 Bill Alewyn is a 60-year-young playwright and essayist. He lives in southern Arizona with his wife and seven cats. Every summer to escape the Arizona heat he goes backpacking in cooler climes for two months. He has yet to crack the secret code of the Ah-ha Brotherhood but he's working on it.